Professional LinkedIn Profile Writers Are Here to Help! 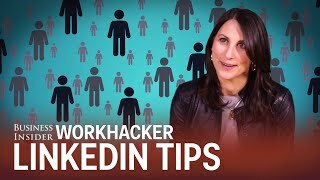 Take your LinkedIn profile to the next level and turn it into a POWERFUL career tool that spotlights your skills, experiences, AND impresses your network of connections. 92% of recruiters use LinkedIn to find high-quality candidates. You need to ensure your LinkedIn profile is found when users search for your skill sets and that it makes an impact, setting you apart from the competition. Let’s face it, it’s hard to write about yourself. Most people simply copy and paste their resume into their LinkedIn profile and then they wonder why they aren’t gaining any traction on LinkedIn. Here’s the reason: Your Linkedin profile is not your resume… it is so much more! When written strategically, your LinkedIn profile becomes your opportunity to engage with your audience and build your professional brand. LinkedIn is an incredible asset to your professional and business development. 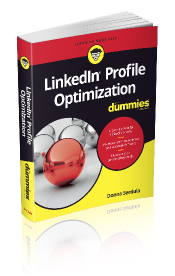 She is the author of the book LinkedIn Profile Optimization For Dummies, published by Wiley. Since 2009, Donna has helped executives, entrepreneurs, sales stars, business leaders, and professionals from around the world create professionally branded LinkedIn profiles. Now with over 40 LinkedIn profile writers and professional brand experts on her team, we will work directly with you to make sure your unique LinkedIn profile is optimized so that you can impress your network and achieve your goals. Stand out from the crowd with a LinkedIn profile that positions you as an expert in your industry and markets you as someone who deserves to be noticed! Have you been wondering how to write a LinkedIn Profile? We have a team of experts that have worked on THOUSANDS of LinkedIn Profiles. Each LinkedIn Profile writer has been trained by Donna Serdula and is held to her extremely high standards of quality and customer service. You can feel confident that we will help you forge a strong professional brand that SHINES! Your satisfaction is guaranteed. When you work with us to write your LinkedIn profile, we do not simply fill out the fields, copying and pasting your resume. Our mission is to strategically align your LinkedIn profile to your goals and target audience so you can reach your true potential. 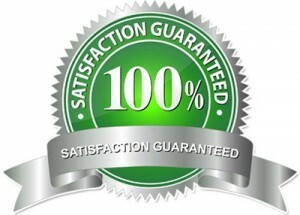 Our goal is to make sure you are 100% satisfied. Before we start optimizing your LinkedIn profile, we must first know your strategy & goals. With your goal and your target audience in mind, we then gather your background information either via email or during a one on one interview session. Understanding your background, we craft your unique professional story in a manner that engages your audience & compels them to reach out to learn more. 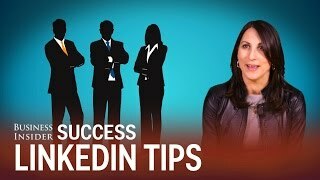 Utilizing a conversational, narrative approach, your LinkedIn profile will provoke confidence & credibility while showcasing you as a high-level professional. We have three different service levels to match your needs and budget. Whether you are looking for a quick option or a consultative solution, we have you covered. Click the Get Started button to see our LinkedIn Makeover service descriptions and pricing. 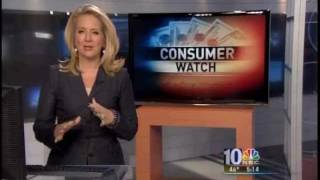 Resumes are not dead! Get your foot in the door with a strong resume that showcases your accomplishments. We also provide cover letters, career infographics and more! Your LinkedIn Company page is linked to each and every employee past, present and future on LinkedIn. Let's make sure it spotlights your company and tells the right story! You've worked hard to establish a company brand- but that brand extends to your employees. Let's make sure their profiles reflect them and the company in the best light! Publish or Perish is no longer just for academics. Executives & Experts are expected to produce content. Working with us, we'll do the heavy writing and you take the credit. Clients often write to tell me me how amazed they are that such a simple, affordable LinkedIn Makeover could make such a huge impact on their career.